Hey guys, as mentioned before we now have reproduced the GLASTRON emblem. Here is the first model on a V194. They have a nice black shine on the edge which looks pretty fancy if you ask me. Available with holes to rivet on or 3M adhesive. 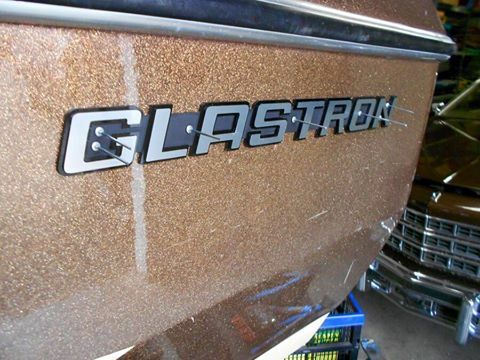 To: Carlson_from_Germany, This is the Glastron emblem that I need. It was shown on post number 114 How do I get two of them? My username is IscheK. Thank you. You can click on his user name and send him a PM.